It’s that time again, the Humble Bundle, a for-pay collection of apps that help to fund developers and charities, has refreshed its mobile collection. 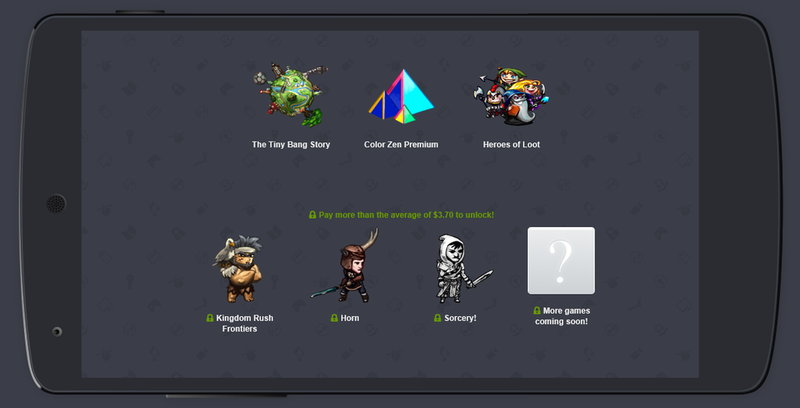 The first tier features The Tiny Bang Story, Color Zen Premium, and Heroes of Loot. As always, there is no donation minimum; any amount you feel comfortable paying will net the three titles, and benefit their makers and charitable organizations in the process. Included in the second tier is Kingdom Rush Frontiers, Horn, and Sorcery!, with the promise of additional games to come. For those unfamiliar with the process, these “premium” apps require a gift higher than the average donation to unlock. In other words, buying the second and first tiers will require spending, at this moment in time, at least $3.70. Considering the cause and price, that’s an excellent value.